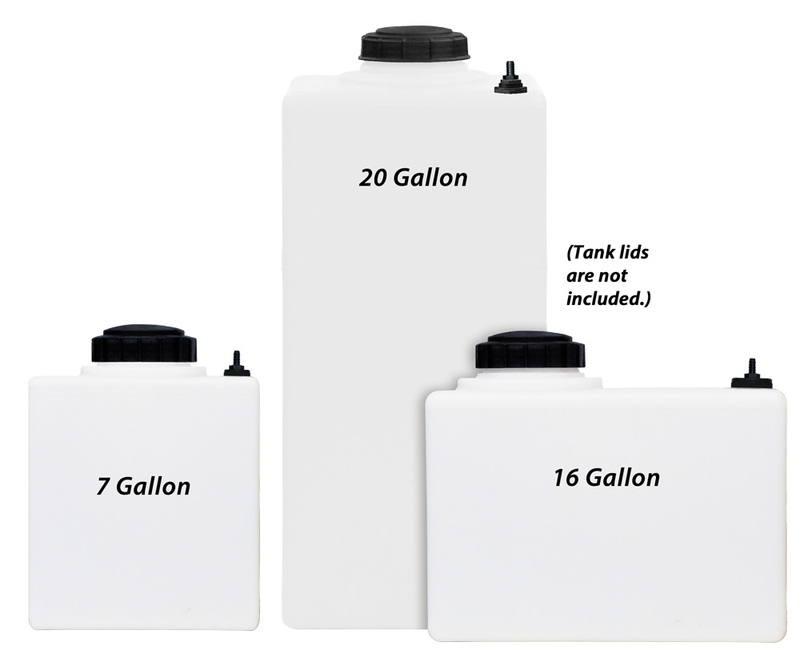 Chlorine Dioxide Systems | Lafferty Equipment Manufacturing, Inc. 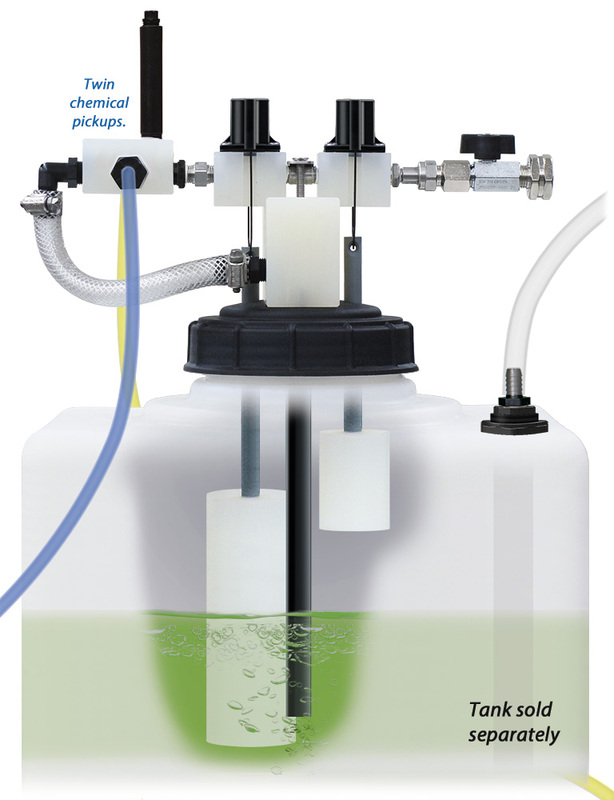 The Gemini Level Master™ is a water driven chemical proportioner that blends 2 chemicals and automatically maintains a constant supply of ready-to-use solution in a tank. 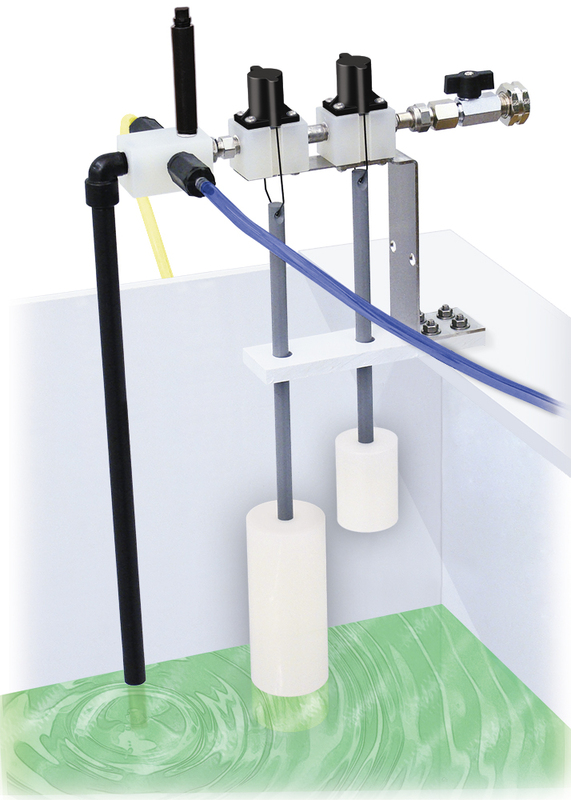 This unique system includes features to maximize chemical resistance and mitigate safety hazards associated with chlorine dioxide. 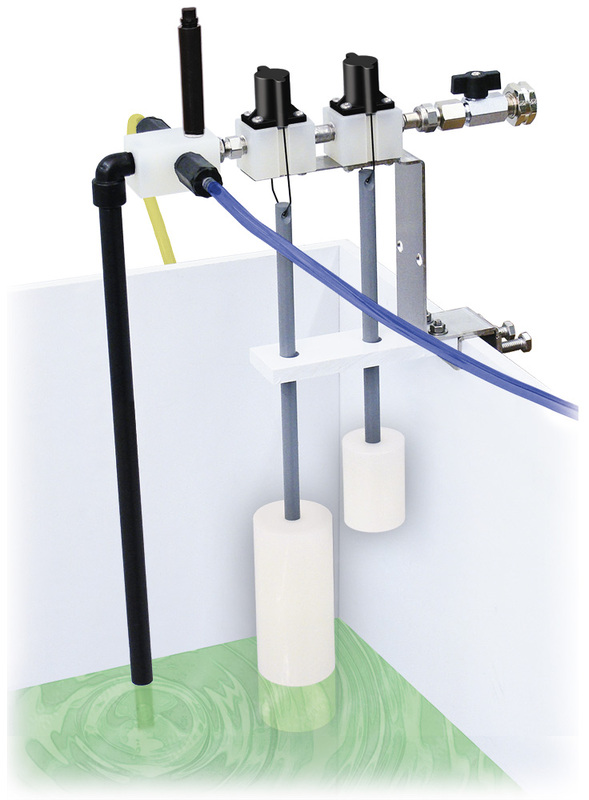 The Lafferty Gemini™ "double venturi / double float" injection system combines two completely separated venturis in one injector body and uses city water pressure (35 - 100 PSI) to draw and blend two chemical concentrates into the water stream independently so that the chemicals never mix until they are diluted. The system activates when the solution in the tank drops below a pre-set level, replenishes at 2 GPM @ 40 PSI, and will cycle continuously. A secondary fail-safe float prevents overfilling.